A YouTube user who goes by the handle NicksplosionFX has completed a video compilation of the start screens for every Game Boy game ever made—or at least as close as NicksplosionFX could come after some thorough research. 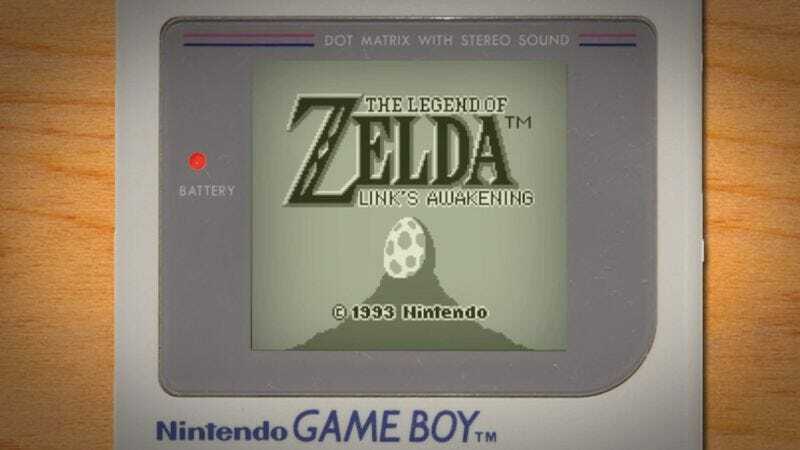 Although most of the opening sequences unfold in just a few seconds, it takes almost three hours for the hundreds of games to parade across the ersatz Game Boy in alphabetical order. Although the images often showcase how far talented graphic designers could push the device’s little monochromatic display, the video’s delights are as much aural as visual: It’s fun to hear famous theme songs like the tunes for The Addams Family and The Jetsons rendered with the platform’s tinny, limited instrumentation. So all told, you could spend more than half a day staring at your computer as hundreds of games entreat you to “PRESS START”—yet you can’t press start on any of them. The ultimate tease.